Whether you're riding high, singing the blues or just waiting on a train, this harp from Hohner will get you through the day. 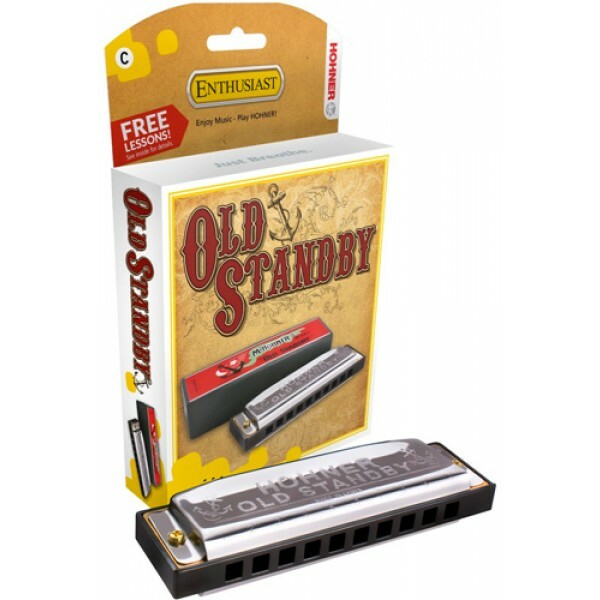 A longtime favorite of many Country artists, the Old Standby has standard diatonic tuning. 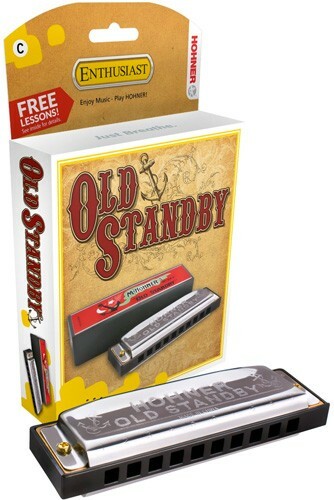 With high-quality construction and carefully designed, sturdy parts, this harmonica should be a hit! Available in the keys of B-flat, C, D, E, and F.